Henderson, North Carolina was established in 1841 and named after Judge Leonard Henderson. The town grew steadily as agriculture, particularly tobacco, prospered, and growth began in earnest due to Henderson's strategic location on the east-west and north-south stage coach and wagon trails. Henderson NC, population 16,095 , is located in Vance County and serves as the county seat. Vance County is located in the lush northeast Piedmont section of North Carolina and borders Virginia. For the outdoor enthusiast, Henderson has excellent parks, including hiking trails, picnic areas and water recreation. Nearby Kerr Lake, the largest lake in North Carolina, has more than 800 miles of shoreline and offers visitors swimming, fishing and other recreational activities. You may be considering the financial option of bankruptcy, a federal plan that allows debtors to divide assets among creditors and free themselves of financial obligations that cannot be repaid. In some cases, debtors can stay in business and use new revenue to resolve old debts. Henderson is in the Eastern District, with Bankruptcy Courts in Elizabeth City, Fayetteville, New Bern, Raleigh, Wilmington, and Wilson. 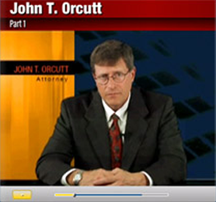 The court's official Web site can answer many of your bankruptcy questions. The Wilson Division is located at 1760-A Parkwood Blvd W, Wilson, NC 27893-3564 (phone: 252-237-0248), while the Raleigh Division is at 300 Fayetteville Street, Second Floor, Raleigh, NC 27601-1799 (phone: 919-856-4752). Do you have questions about bankruptcy and reside in or near Henderson North Carolina? 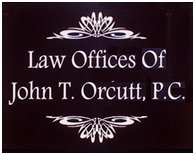 If so please visit the Law offices of John T. Orcutt in Durham to find out more. We provide a FREE confidential consultation that will answer all of your questions and advise you how to proceed with your debt situation. The drive from Henderson for a FREE consultation is worth it. You can make an appointment online today or call our Durham office at (919) 286-1695 to arrange one. Just take I-85 S from Henderson to exit 174 B Hillandale Rd. 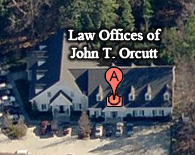 For directions and a bird’s eye view to more easily find our Durham office please click here.